First an interesting word about something that is on-line only – thus compromising my claims to be concerned solely with books. The Poets and Poetry Archive UK at http://www.poetryarchive.org/poetryarchive/home.do is a wonderful resource which allows users of the internet to listen to recordings of English-language poets reading selections of their own work. This includes Modernist classics (tune in to the recorded voice of T.S.Eliot) as well as established living poets. As of February this year, and under the direction of Jan Kemp, 25 New Zealand poets are in the process of being added to this prestigious sound archive. The first six, a mixture of the living and the dead, are M.K.Joseph, Anna Jackson, Charles Brasch, Briar Wood, Alistair Paterson and Siobhan Harvey. Others will follow. I have already had the pleasure of accessing the site and listening to Alistair Paterson reading his “Poem” and “Pas de Deux” and four other selections; and M.K.Joseph reading six poems including his classic “Drunken Gunners”. I’m engaged here in drawing your attention to books, but if you think poetry should first be accessed through the ear, this is a good place to start. In October of last year I had the pleasure of attending, in Auckland, an illustrated lecture given by Gregory O’Brien and some of his fellow artists and poets. It was billed as Encounters and it showcased the work they had done on a sponsored trip to Raoul Island and the Kermadecs. Aucklander by birth but Wellingtonian by adoption, O’Brien is both graphic artist and poet. His latest collection (his first in seven years) Beauties of the Octagonal Pool, shows off his skills in both fields. Cover, end-papers and title pages of each of the collection’s eight sections are all illustrated with O’Brien’s distinctive line decorations. Their effect is generally playful and celebratory, but sometimes an analytic inspiration is evident as O’Brien fills the page with numbers and geometric shapes. As in the decorations, so in the poetry. Playfulness is one of O’Brien’s major keys. I cannot help but see the poem “Ceiling fan, Villefranche” as an extension of the sort of drift-into-dreams that James Joyce has at the end of Ulysses – a string of images connected by the lazy fan twirling above. Coherent? Not exactly. But musical and enjoyable, like the beginning of a dream. In similar fashion, a poem like “Solidarity with the anchovy”, solemnly addressing the fish as brothers and contemplating their fate, reminds me of the eighteenth century poet (was it William Cowper? I cannot readily find it in the Collected Poems of Cowper on my shelf) who wrote a solemn ode to the fish he was about to consume for breakfast. These are pure jeux d’esprit. The poems of Beauties of the Octagonal Pool cover much geographical ground and some of the eight sections into which the collection is divided seem designed to recall specific trips (to the Kermadecs, to Moscow, to France etc.). However, I found myself more interested in the collection’s thematic preoccupations than in its specific landscapes. Fittingly for one who is artist as well as poet, O’Brien is interested in an appreciation of the arts themselves. A sequence of poems deals with encounters with New Zealand by early European explorers. One is a celebration of the first ting-tang-tong of the guitar as it would have sounded when a Spanish expedition made landfall here in 1793. The trip to Moscow has a set built around the Russian Modernist painting “Black Square” with O’Brien astutely noting (as is true of so many art-works) that the admired painting “appears much less absolute in real life than it does in reproduction”. Another major preoccupation is physical nature as observed on his various travels. 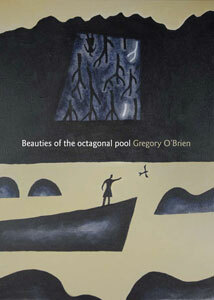 The poem “An artist’s guide to the layers of an ocean” is marvellous proof of the fact that O’Brien is both poet and graphic artist, as it is exactly what its title says it is – and includes visually precise lines such as “diving birds like brushes/ or pencils plumbing/ the depths”. Yes!! to that, as any viewer of wildlife documentaries on the hunting habits of gannets can confirm. O’Brien views nature as basically benign, even if a poem like “A mule, Raoul Island” incidentally reminds us of “the shark-hungry bay” and “Rangitahua” recalls the massive destruction nature can wreak. Human beings are now inevitable features of even the wildest places. The punning title of “A naval exercise (for two hands)” refers to the two naval hands it takes to rescue a man who has fallen overboard, and the poem’s imagery makes it absolutely clear that O’Brien respects the skill of the trained naval rescuers as much as he respects the skill of a fine piece of music. This is art in practical work. Male adoration of, or obeisance to, the female carries over into the poems of marriage and heterosexual love. Sometimes, as in “A consort of flower parts” addressed to “Jen” (O’Brien’s wife Jenny Bornholdt) I have that awful sense that I am not picking up a code that means a lot to this married couple – marriage depicted as punctuation, or a musical score. In other poems, such as “Line”, are covert references to the female pudenda. So too in “Ode to fashion” an invitation to strip off clothes which ends with “that/quiet seam/beside which I sit/ awaiting further/ instructions”. Yes, we men are all ruled by that seam. Most greatly to my taste is the plainly-titled “Love Poem”, a prose poem which ends a series of linguistic paradoxes with the punchline “I dream about you but you are not a dream”. I guess this is as near as we will get to “My mistress’ eyes are nothing like the sun” in the present age - an assertion of the fact that the woman who is loved is a real woman and not merely a literary device. As you can see, in this poor excuse for a review I have done little more than wander through the collection cherry-picking things that interested me or caught my attention. I hope I make it plain that I find O’Brien a companionable poet. The personality that comes through Beauties of the Octagonal Pool is observant, calm, thoughtful, friendly, forgiving, in love. This leads to much enjoyment, but there is really only one poem that bowls me over. This is the brilliant “Ode to Thought”, a marvellously connected series of images related to the processes of thought, beginning and ending with the extended metaphor of thought as the play of wind on a pond with toy boats. The title may be ironical – mocking those solemn odes Augustan poets once penned – but the poem lives up to it. 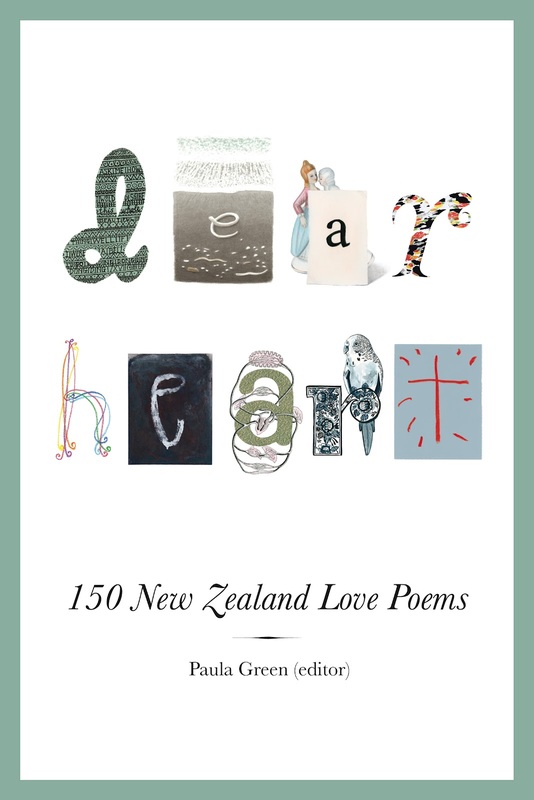 Anthologies of New Zealand love poems are no new thing. It seems only yesterday that I enjoyed reading my way through My Heart Goes Swimming – New Zealand Love Poems, edited by Jenny Bornholdt and Gregory O’Brien. Actually it was 16 years ago, way back in 1996. My Heart Goes Swimming was produced by the same Godwit Press that has now produced Paula Green’s Dear Heart – 150 New Zealand Love Poems. For the record, the Bornholdt/O’Brien anthology contained 73 poems, so the most basic thing one can say of the new anthology is that it is more expansive. Over twice as expansive, to be precise. There is, however, a connection between Dear Heart and My Heart Goes Swimming in that Dear Heart contains poems by Bornholdt and O’Brien (including some that appear in Beauties of the Octagonal Pool) ; and O’Brien is one of the nine artists who have contributed decorations through the book that spell out the words “Dear Heart”. As they do not, by definition, represent one poet’s voice, anthologies are notoriously difficult to criticise. Dear Heart confines itself to New Zealand poems since the 1930s, so it is mainly Modernist or Postmodernist. Green’s introduction notes that poems on love are not necessarily on the love between grown man and grown woman. Therefore this anthology contains Angela Andrews and Anna Jackson and Mary Stanley each writing about love for a young son, Harry Ricketts and Fleur Adcock on adult sons, Ingrid Horrocks on her mother, Jeffrey Paparoa Holman on his father and others on whole families. Sometimes love for the non-human is celebrated - Airini Beautrais on the Tauherenikau river, Peter Bland’s “The Gift” on love of land, and Ursula Bethell’s lustrous “Homage” to roses (unless its parade of floral beauties has an oblique lesbian significance). Having noted all this, though, most of this selection of love poems is indeed on the love between men and women, even if a few deploy the non-specific “you” and “me” or “we” and could refer to gay couples. While admitting the diversity of love poems, I am hesitant to call some of the selected poems love poems. Janet Frame’s “Child” seems to me more a painful memory of the dawning of childhood awareness – either that or the love of a coat. Is a frank poetic celebration of love a little passé? Possibly. So many of the more recent “love” poems here seem less words of delight than sly, ironic or resigned observations. Poets no longer say frankly “I love you”. They are more likely to say “Look at this funny little thing or memory we share.” Which is quite nice but does not make the heart go pitter-pat. Love as trinket or keepsake. Not love as full-on passion or adoration (not the same thing). In fact you have to look at some of the older voices represented to find the frankly sexual. James K Baxter’s “The Beach House” written to the woman who is asleep in a nearby bed. Fiona Farrell’s “The Castle” on yielding to expert male seduction. The most old-fashioned (and rhymed) poems in the book are A.R.D. Fairburn’s “Change” and Eileen Duggan’s “The Tides Run Up the Wairau”. A dyspeptic prof of Eng Lit once dismissed the latter as Mills-and-Boon but it holds up quite well. And a few pages after the Duggan comes the most modern imagery in the anthology, in a poem by Serie Barford “Our love is a tracking device/ more sure than any global/ positioning system”. I’ll say no more. I think Paula Green has taken the temperature of current New Zealand love poetry accurately. It is for individual readers to decide which plums they will pick. I’ll be quite clear about this. As I have written about poetry this week, I know I have at once halved the readership of this blog. Wiseacres now say “Nobody reads poetry!”. Except poets and critics. This is not quite true, but near enough to be common wisdom. Some poets reply sharply that it doesn’t matter if they are little read, so long as their works achieve what they intended them to achieve. This is the line taken by the Dunedin poet David Howard in the after-word to his little collection S(t)et (Gumtree Press, 2009), where he professes not to be concerned about the “market share” he gets. Good for him. I think this is a sane attitude for a poet. Still, I’m aware that people are not storming book-shops to buy volumes of poetry, and remainder bins fill up with those which book-stores have “bought in”’ rather than getting on a “sell-or-return” basis. So, I think pig-headedly, if I have broached the topic of poetry in my “Something New”, and alienated casual browsers, I might as well push on and devote “Something Old” to poetry too. And, being as ready to be hanged for a sheep as for a lamb, I’ll set about commending a poem that is now regarded as a period piece, finding little favour and reflecting too much the tastes of its own age. Balder Dead is High Victorian narrative poetry. It runs to approximately 2,000 lines and fills up 28 pages in the Everyman’s edition of Matthew Arnold’s Collected Poetry which I have on my shelf. 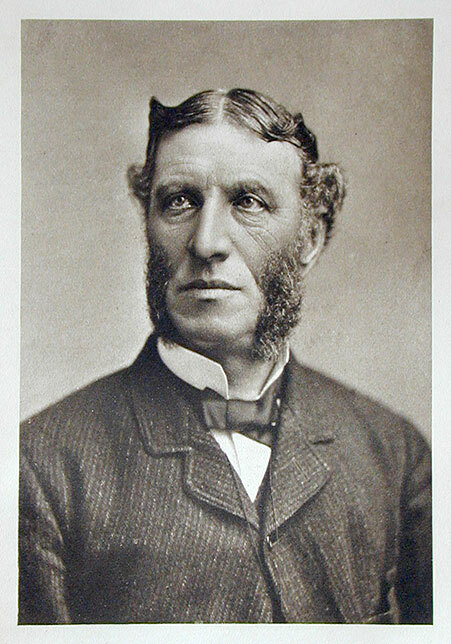 Matthew Arnold (1822-1888) is regarded as a very intellectual and sympathetic Victorian figure - the man who regretted the decline of religious faith but who couldn’t bring himself to be a religious believer, as he made plain in his best-known short lyric Dover Beach. This made him a religiously-inclined agnostic and therefore very representative of intellectuals who were his contemporaries. In universities, Arnold is now studied more for his literary and social criticism (especially his book Culture and Anarchy) than for his poetry. This is true even in courses specialising in Victorian Poetry where he is seen to stand, with Arthur Hugh Clough, some way behind the two big boys, Tennyson and Browning. Balder Dead is, therefore, the type of poem which is known to sit in the collected works of an esteemed figure, but which is hardly ever read. The poem is written in blank-verse iambic pentameter, with heroic extended metaphors of the sort that Homer would have approved; and with key lines and phrases sometimes repeated, as in the days of the oral-culture bards. It re-tells a story from Norse mythology. Balder (his name is more commonly spelt Baldur), the beautiful and peaceful Sun God, is dead. Lok (more commonly known as Loki) the trickster cheated poor Hoder into a situation where Hoder accidentally killed Balder. Like so many mythic and legendary heroes (like Achilles, like Siegfried, like Superman) Balder was invulnerable except for one small weakness. The gods used to make sport with him by hurling weapons at him that bounced off him and did not harm him. But Balder succumbed to contact with his nemesis (or Krypton), mistletoe. This detail suggests that, before Matthew Arnold got hold of the story, the death of Balder had something to do with ancient legends about the death of the sun in the coming of long Norse winters. The gods lament for the dead Balder. They want him returned to them. So Hermod mounts Odin’s horse and rides down to the underworld to ask for Balder back. But the Queen of the Underworld says Balder will be returned to the gods only if all things on Earth and in the heavens weep for the death of Balder. At the gods’ bidding all things do indeed weep for Balder (again, like the rain and snow-storms that follow the “death” of the sun in winter). All things, that is, except for Lok. Balder is not returned to the gods. Odin plans to storm the underworld and rescue Balder by force. But Odin’s wife Freya argues that not even the Father of the Gods can contradict things like Death, which have been set for all eternity. The gods burn Balder’s mortal remains in a ship. The long poem therefore ends with Hermod sadly farewelling the shades of Balder and Balder’s wife Nanna, and Hoder (who committed suicide after accidentally killing Balder) as the three of them fade into the mists of the underworld of Death. This is not a poem of densely-expressed philosophy, but a narrative poem taking all the opportunities for long descriptive passages provided by Hermod’s long journey. Its main theme seems simply to be the irreversibility of death, with suggestions of the “twilight of the gods”. The tone is elegiac – Arnold is farewelling a whole mythic way of seeing the world, a whole system of belief, as if it were analogous to the system of belief he saw dying in his own age. Hence Balder Dead is something like an extension of Dover Beach. Yet near the end, the shade of Balder gives a formal speech suggesting a better world will arise in the future – perhaps the obligatory piece of Victorian optimism. To me, it is extraordinary that Arnold was only 33 when he wrote this death-haunted piece. Apparently critics have spilt much ink discussing the extent to which Arnold identified himself with Balder – that is, as one who was wearied by the modern world and would have been glad to escape from it, as Balder tells Hermod he is glad to escape the ceaseless warfare that goes on in Valhalla. This is in an episode, near the end of the poem, which Arnold invented and which does not appear in the old legend as he found it. How do we now read a poem like this? When it first appeared in 1855, Balder Dead was reasonably acclaimed, although the humour magazine Punch couldn’t resist an obvious pun when it said that it wasn’t Balder Dead but balderdash. 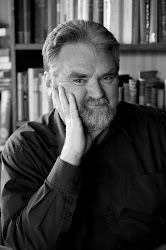 In part, I take the advice of one old critic who said that all long poems are chaplets – strings threading together the good bits and the striking images. This is the imagist view that there are really no long poems – only collections of short ones. I’m sure this does an injustice to the skill that goes into making an extended narrative poem, but as I read Balder Dead it was the isolated images that held my attention and found their way into my notebooks. This is indeed extended heroic simile. It may now be a cliché to speak of birds “screaming”, but it jumps out at us in a decorous Victorian poem. Be ye then kind, as Balder too was kind! This, alas, is not great poetry. In fact it’s rather lame. But it does advance Balder to the position of exemplary Christ-like Prince of Peace, and again suggests that Matthew Arnold was viewing the old Norse myth as a platform for a critique of the religion he saw dying in his own age. I doubt if anything I’ve written here will persuade you to rush out and borrow a copy of Arnold’s poems. or to read Balder Dead on-line (as you can do). But at the very least, I’ve enjoyed reminding you that not all venerable-but-unfashionable poetry need moulder unread in small-print collected editions. Balder Dead speaks for its age capably. Reading it gives more perspective on ours. I am sorry that my review of your novel annoyed you, and I have to answer freely that, no, I would not like you to punch my face in. So I am agreed with you on one point. I understand how mortified you must have felt when I told my readers that your characters are thin, your plot a cliché, your prose abominable and your method crass sensationalism. I, too, would feel mortified if people said these thing about something I had written. I doubt that you would be persuaded to change your views if I repeated all the evidence. But I reiterate that hit-men from Chicago are not in the habit of visiting the Manawatu to organize immigration scams for desperate Mexicans who want to cross the Rio Grande. Furthermore, police have informed me that, to the best of their knowledge, Feilding and Bunnythorpe have never been the headquarters of rival international drug cartels. There is a little problem with verisimilitude here. Might I further add that Chicago hit-men carrying “tommy-guns” and working for “the Big Boss” are more likely to inhabit black-and-white Warner Brothers programmers from the 1930s than anything more recent. If you are going to imitate a popular best-selling genre, it might be wise to drag yourself out of the age of George Raft and James Cagney and into the age of George Clooney and Brad Pitt. I do appreciate your attempt to relate your story to the rights of indigenous peoples. I salute your utter sincerity in introducing elements of tangata whenua life and customs. However, there is more to this than having your characters say “Haere mai” every few pages. I did feel that the flow of your narrative was rather held up by the scene in which one torture victim recites the Treaty of Waitangi verbatim in both Maori and English, and offers a lengthy exegesis of it, before an equally lengthy fire-fight. But more than anything, Mr Slushmonger, you appear to have been annoyed by my suggestion that your book was self-published. This, I fear, is the chief bone of contention between us. I did listen to the message you left on my answer-phone at 3 a.m. last night, and I understood you to say “It wasn’t ****ing self-published. I spent a lot of ****ing money to get it published by a real publisher.” You gave me the name of the commercial venture in question. Dear Mr Slushmonger, I apologize sincerely for sounding pedantic in these matters, and I appreciate that the selfsame word may have many different connotations. Briefly, sir, as understood by the literati, a publisher undertakes to publish work at the publisher’s expense, and not at the expense of the author. A publisher receives your typescript. The publisher’s readers assess your typescript and decide whether it is worth publishing or not. If they decide it is not worth publishing they return it to you with a polite letter of rejection, and that is the end of the matter. If they decide it is worth publishing, then copy-editing, proof-reading, printing, binding and publicity are undertaken at their expense, not your’s. Your copyright will, in effect, allow you to share any profits from sales with the publisher. But, unless you have written a massive best-seller, please do expect your royalties to be very modest. Yes, I appreciate that the people who printed your novel at your expense call themselves “publishers” but that, sir, is a marketing ploy. The vanity publisher takes your money to print and bind your stuff, and leaves you to publicise and dispose of the result. Because you are paying, you are self-publishing. Sorry, Mr Slushmonger, but I am using the right term.